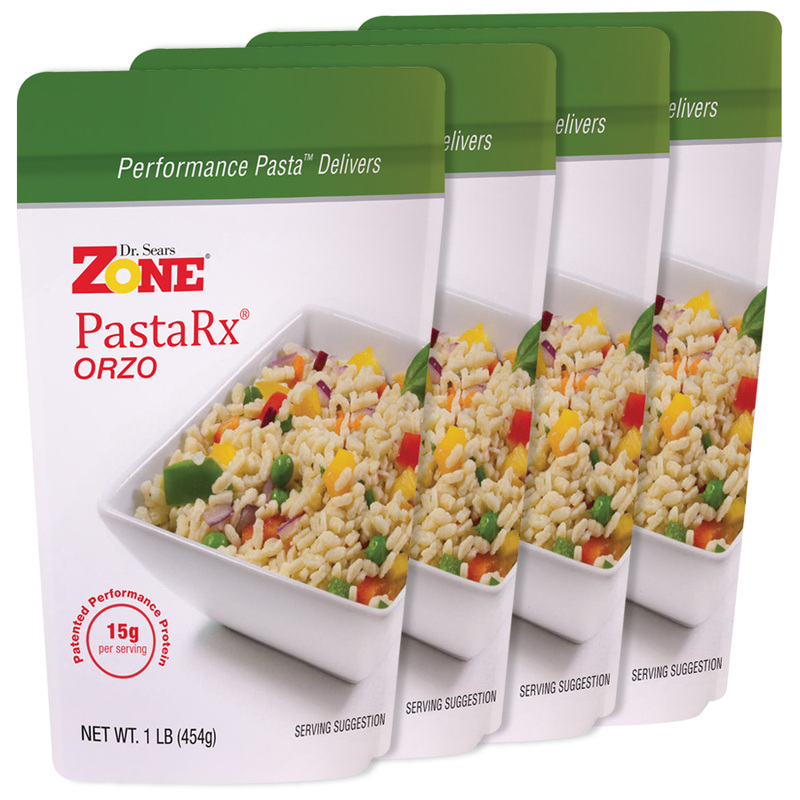 Prepare Zone PastaRx Orzo as directed. Blend the tomatoes with water, salt and pepper. Set aside. Heat the olive oil in a 2-quart saucepan over medium heat. Add the onion and sauté until slightly translucent. Add the sausage and sauté until golden. Add the garlic and cook for 30 seconds more. 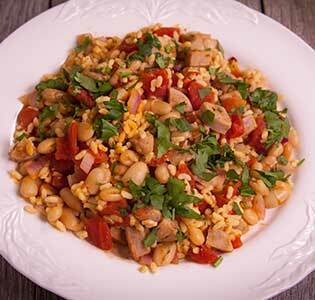 Pour the tomato/water sauce, beans and cooked orzo into the pan and cook for 5 minutes, until warm. Taste and adjust seasoning to taste. Divide into 2 bowls and garnish with cilantro.